Update on these adjustable arms as they didn't come with a way to attach the headlight level sensor so I have to zip tie them for the time being. The seller of these was nice enough to fab up some brackets and send them my way. Last edited by AMG3.2; 07-17-2017 at 02:21 PM. Great question. Right now, I'm at -1.7 in the rear and I know I can get a whole heck of a lot more negative with adjustment as well as positive. Not sure on an exact range though. Last edited by AMG3.2; 07-17-2017 at 02:22 PM. They clean the rear up so much. OEM or depo? They really do! Depo from Fishcake on Ebay. Nice! Plan on tinting them? As I was going through your thread, I was so pissed to see your rear cut like that. But then I was stunned with the final results. Great job so far. 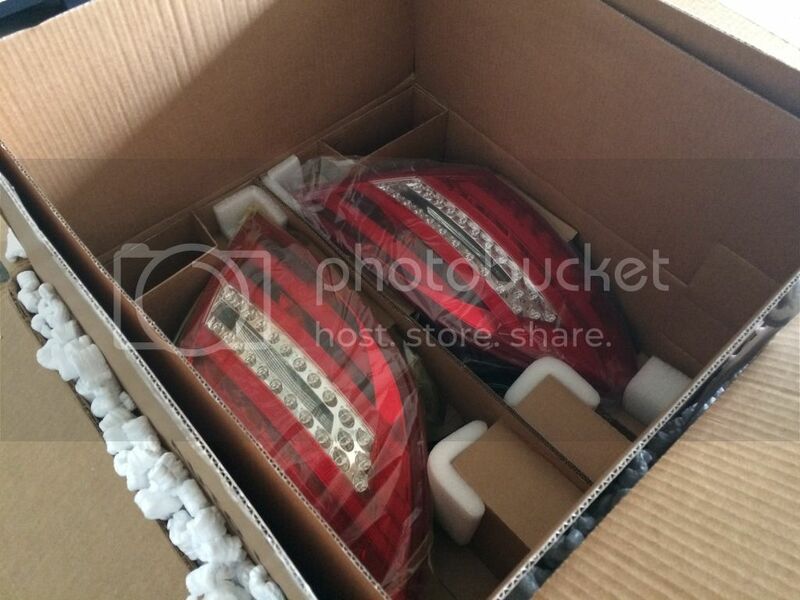 I was looking at the same LED tail lights on eBay, but there seems to be quiet a few variations from DEPO in red/clear. Did you have a chance to figure out what the difference is when you bought yours? Yes> There are two options. One which indicated red for turn signals, the other that indicates orange. Maybe it sounds lame but orange matches the front signals lol. I did. Yeah, you're right but I like the red more when flashing. Seems more cohesive. Also, bought a minty fresh E36 M3 5M/T today as a daily/beater. Although in trying to find a beater, I found probably the cleanest un-ruined E36's I've ever seen in my life. Last edited by AMG3.2; 07-17-2017 at 02:23 PM. Nice, possibly project track car? I can't tell yet to be honest. I doubt it. If so, a very mild one. I truly want to DD something I don't care about. Maybe just bushings / drivability mods but nothing aesthetic. Sorry man, don't get this wrong, but my advice is to say goodbye to the E36 as soon as you can and to not try to make it into a dayly driver. We had a E36 in our family until 2 years ago, the most advanced 1998, in a 6 cylinder, kept it till 225 000 miles. It was a daily driver for my wife, I maintained it. The list of things I did to it would take too long for me to type here. Even if the parts are not expensive, you're going to be busy doing work on it a lot of time and won't have time to do other things, at least if you're like me and need everything to work properly all the time. -It always runs somewhat hot.. why?? 1. It has a tremendously complicated submersible connector for the fan in the chin/lip of the car. Although this was designed to dip in water and saty dry inside, because its so complicated in time it allows.. some.. water inside and corrodes.. somewhat. This reduces the amperage availability to the auxiliary fan and makes it have less torque and pump less air. I found this and got so pissed I soldered the wires and shrink-tubed them. Now, because the fan had full amperage id died, because it was not used to it, spent 50% of its life half-assing the cooling. Then the thermostat housing is plastic, the water pump impeller is plastic, the overflow tank is brittle plastic, these need to be replaced with metal/aluminum units. Then the cooling system runs unusually high pressure. When the radiator goes, it goes with a BANG, as in explosion, not as in springing a leak. Which it did, leaving my wife stranded. I replaced it with an all-aluminum unit, which required me to re-engineer the transmission cooler which was integral to the radiator and separate it. Then it sprung a leak in the water box of the heater by an o-ring where you can't even see it. Other things? Alternator went, 2 coil packs went, the trip computer lost pixels and the odometer lost pixels, I fixed all of these. The ignition switch jammed and fixing that, getting the switch out of there was... involved. Much more than the 3 Mercedes I had. For your car be careful with the impeller of the oil pump, I read something it loosens up, you have to secure it. The hood release cable broke, the door handles stopped working. I could write a whole chapter about the redesigned hydraulic tensioner for the serpentine belt and how expensive it is and how many times I replaced the mechanical one and how bad the access is for that. The engine was mostly fine but had a shrieking at cranking, there was something that had to be done with the starter, which I refused to do and waited for it to die before fixing it. It never died but annoyed the hell out of me. In the end, the rear shocks, once I replaced them, went through the rear shock towers. Apparently I should have known this was going to happen and bought tower reinforcements. So I temporary fixed it and traded it for a new Abarth for my wife. Anyway, please understand that I am only sharing something that I'm firmly decided to follow myself, no more E36, don't mean to ruin your day. Looks very clean, I had a friend that just picked up an E36 and it's been a nightmare but you never know you might be lucked out. Ha! Thanks guys. 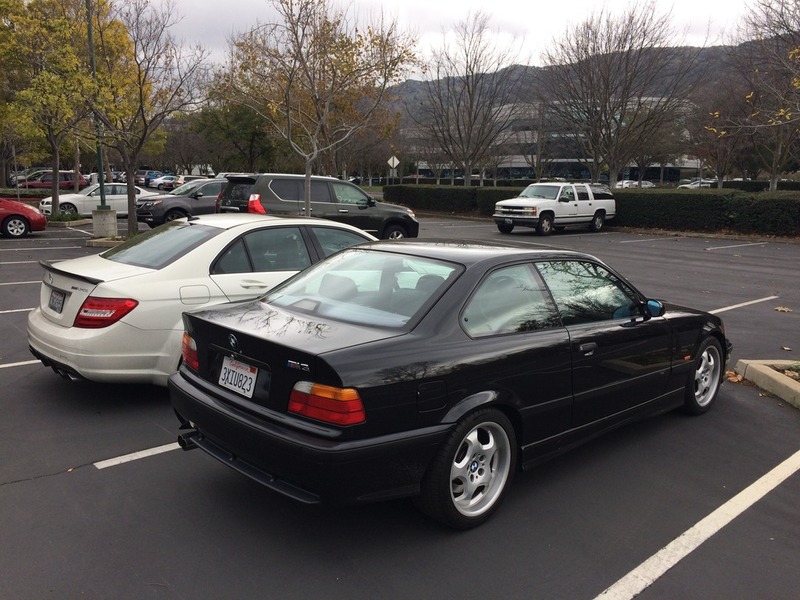 I appreciate the pointers and tips but my friends and I know E36's/e46's/E9X M3's like the back of our hands at this point. We've checked all the failure points like Vanos, cooling system failures (radiator, water pump, etc.) rear shock tower mounts, all electronics etc. I know it's very hard to find a clean E36 M3 these days as most are tracked or kicked to the curb. However, I think I might have lucked out. If not, used parts are cheap and I'll have one of my buddies work on the car while I drive the Merc. No doubt about it that these are finicky cars, but the E36 is a lot more forgiving in terms of maintenance that the E46 is. OHHH E36 M3 I love it! 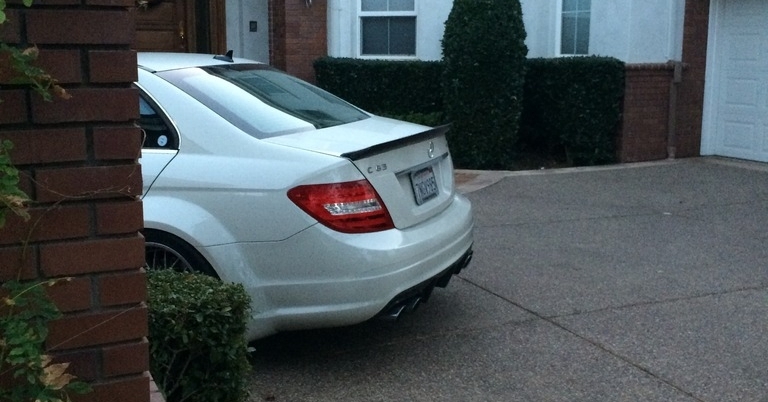 The Depo Tails are awesome! really does make the PFL's rear look cleaner. Ha! Thanks. I'm actually really enjoying the E36. Most likely because it's such a different car than the C63. The tails really do clean it up. They look amazing in person and no codes yet. Do you remember the name of the vendor that gave you the custom arm bracket for the adjustable headlights. Same guy that sold me the camber arms. Link above!